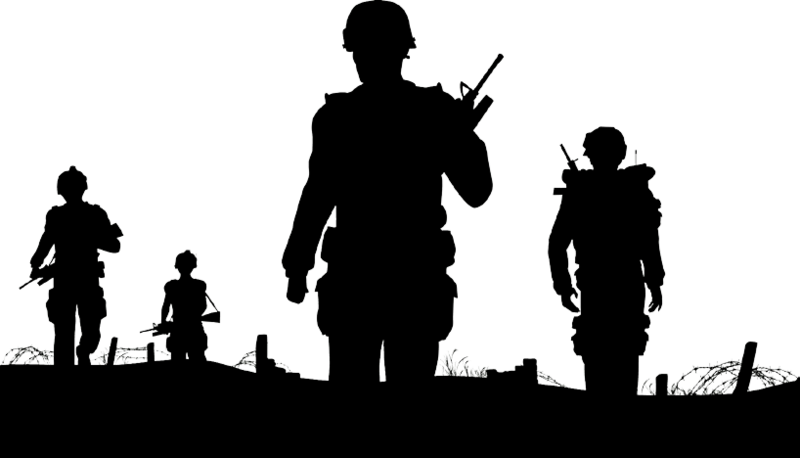 by Simon Davies, Senior Contributor and CEO of Spectra Group (UK) Ltd.
Modern day warfare calls upon military units to operate as smaller and more agile forces, across diverse geographical areas and often in often extremely rugged terrain. Such dismounted units frequently are unable to maintain line-of-sight communications with operational headquarters (HQ) — or even with other units that may be only a few miles away from their location. Worryingly, this not only restricts HQ's capability to track dismounted units but also massively limits any commander’s situational awareness — that awareness is crucially important to achieving safety and mission success. The tactical battlefield has now evolved into a vast digital data exchange where large numbers of weapons, sensors, computers and command centers must exchange high speed data to function effectively. A reliable communications link can act as a lifeline on the battlefield. Whether that link is for someone operating a radio or logging on to a laptop, having a network that works first time — and every time — is vital. Military communications technologies are extensive and can be quite complex. Every latest generation of communications equipment strives for an improvement in component life that could equate to extended operating time for portable radios powered by new rechargeable batteries or greater processing power from the latest, high-powered microprocessors. 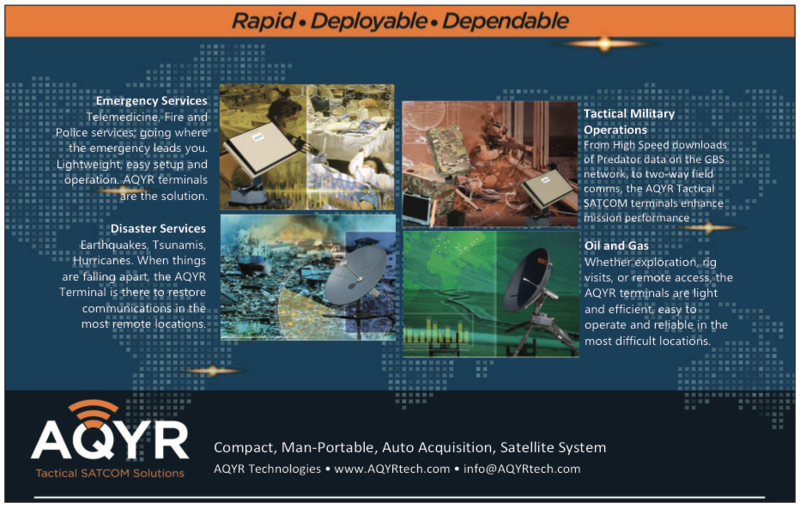 Communications systems for military applications are selected depending on each task, with a range of systems as traditional as high-frequency (HF) two-way radios to more sophisticated MILSATCOM systems or mesh IP radios. 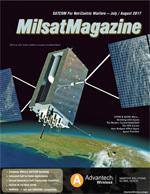 Recent years have seen a huge increase in the area of military satellite communications — MILSATCOM systems can offer many advantages for military applications, such as a wide area of coverage, rapid deployment, flexible networking and long-range service for moving platforms such as ships, aircraft and vehicles. They mainly convey voice and data with a growing range of applications that include telemetry, imagery, texting, file transfer, remote sensor computer access, paging, email and Internet, and facsimile and extending to video teleconferencing and full motion video (FMV). Satellites permit direct communications with units on the battlefield. Light-weight mobile terminals can be established in a short time, enabling advancing troops to remain in constant contact with command authorities. Spectra has established itself as a leading player in providing SATCOM-On-The-Move (SOTM) for conventional and special operations units operating in small teams on foot or in vehicle with the company's game changing SlingShot product. The company has teamed up with commercial satellite operator Inmarsat to use that firm's global satellite network to provide tactical satellite channels. Spectra then developed the equipment to allow in-service tactical radios to be converted to use the Inmarsat satellite network to provide many channels for Beyond-Line-Of-Sight (BLOS) comms. A major advantage of SlingShot is that the product can be connected to existing tactical radios without compromising their in-built encryption systems. There is no need for any configuration to tactical radios as the unit plugs into its antenna socket, converting the VHF or UHF frequencies into the appropriate frequencies and power for the Inmarsat network. SlingShot has a further market leading feature — the omni-directional antenna — and this is a key differentiator which alters the way people using Tactical Communications Satellites (TacSat) accomplish their missions. These antennas allow operators to travel in excess of 80 mph and maintain reliable communications. Spectra has also successfully brought to market an aviation capability which offers command and control communications to all units on airborne platforms— fixed-wing aircraft and helicopters — without the need for any land or air-based radio repeaters. Future testing is about to begin on a solution for fast jets to complete the company's support for a broad range of aviation platforms. Spectra could well be providing voice and data services in areas where none currently exist, or where high intensity conflicts, natural disasters, terrorist attacks or pandemics have destroyed the existing networks. 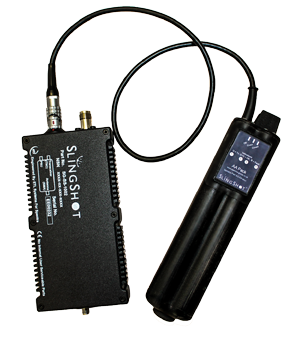 This year, the capability of SlingShot has been extended with the availability of new power options and the launch of the SlingShot Satellite Emulator (SSE) — an L-band satellite emulator for full offline system testing without the need to have a "live" satellite channel; a Universal Power Supply solution affords flexibility in regard to power needs, as well as an AA battery cassette capable of powering SlingShot in manpack form. The SSE comprises a programmable test tool, permitting operators to train with the system as if it was in real-time, operational use by simulating satellite connectivity without expenditure. There is no need for reconfiguration or frequency programming as the SSE behaves exactly as a satellite and only reacts to the incoming RF from SlingShot. All that is required by the operator is to ensure that the supplied Transmit/Receive antennae are connected — then, just plug the unit in and all is ready for testing. Upon leaving the Military in 2004, Simon set up Spectra which has achieved steady growth over the past 13 years through these difficult security and economic times and is fast becoming a leading service provider of reliable, robust, deployable communications. Spectra’s services are deployed worldwide in some of the harshest environments supporting the UK Military and European Union, Stabilisation Unit to name but a few.